The operating system is extremely customizable, but there is a limit. That limit is where I get frustrated. 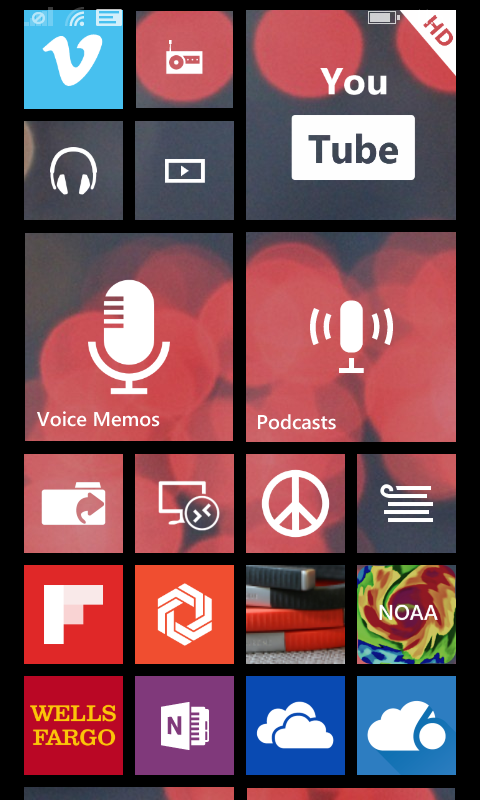 Example 1, Transparent Tiles: Finally, you have the ability to add a background image to your Start screen. 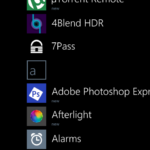 This option makes many of the icons on the Start screen transparent so that you can see through to your background image. However, not all application icons become transparent. You’re left with that Fisher Price look we’ve become familiar with from Microsoft, from the Windows XP and the Windows 8.1 desktop operating systems. I personally want all of the icons to be transparent so the background image can shine through. Microsoft isn’t entirely to blame for this. 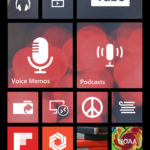 They give developers the option to include transparent tile images for their applications. More developers are, but there are some that seem extremely stubborn in releasing a transparent icon for their application. They demand that their icon stand out like a sore thumb among all of the other beautiful transparent tiles. It is usually the social network sites that INSIST on this. 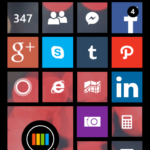 Example 2, Live Tiles: Simple live tiles that alert me to the number of unread messages or missed calls, I am fine with those. However, I absolutely hate live tiles that cycle through an entire news feed. 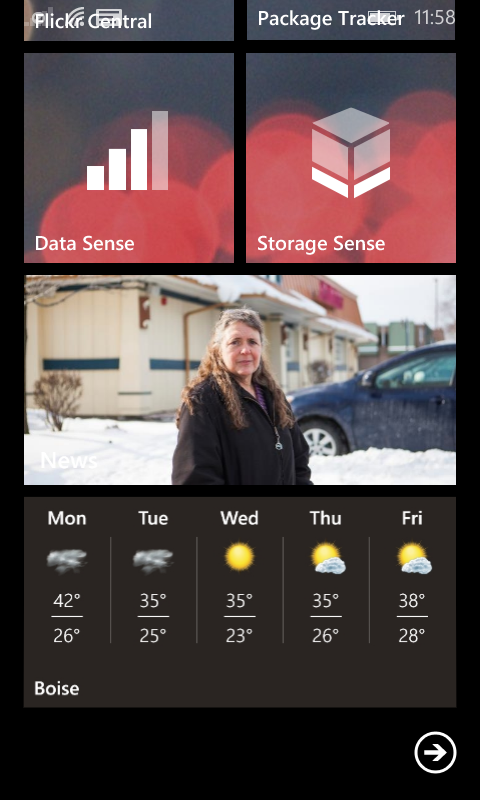 I hate looking at my Start screen with the desire to scream “SHOW ME THE MONEY” as if it were a slot machine. There is one exception to this frustration. I am fine with the stock weather app cycling through the weather report. I keep it at the bottom of the Start screen, below all of the beautiful transparent tiles. I can’t keep all of the blinky, blinky apps at the bottom of the Start screen though. Ok, yes, technically I could, but that would look terrible and be terrible from a usability perspective. Again, this isn’t entirely Microsoft’s fault. They do give developers the ability to allow users to turn off their application’s live tile. It seems as though some application developers think their content is so important it must stare me in the face as soon as I unlock my phone! There are some media outlets, I’m looking at you CNET, that insist on having constantly updated information on their tile, no matter how small you make the tile. Windows Phone 8.1 is ABSOLUTELY TERRIBLE at remembering where you were on the previous page when you hit the back button. The best example of this is the Facebook application (which is developed by Microsoft because Facebook doesn’t believe in the Windows Phone platform). As I am scrolling through my news feed I will inevitably come across a link that a friend or a news outlet has posted. I will click the link and read the article. When I press the back button to go back to Facebook and my news feed I expect to be able to pick up where I left off. That doesn’t seem like too much to ask for, does it? Well, I guess it is because I am instead taken ALL THE WAY BACK TO THE TOP OF MY NEWS FEED. That is like having to start reading a traditional newspaper from the front page after you’ve read an article! This is, quite possibly, my biggest problem with the operating system. It is one of the most frustrating problems because it affects me constantly. The good news is that there are some applications that are good at remembering where you were. Not all of them make me want to bang the phone on sharp objects and run it over with my car! Side note: While I do have major gripes about the Facebook application that the Microsoft team is developing. I have to also thank them for stepping up where Facebook won’t. When I am finally ready to be taken back to the top of the page I am on, there is not a universal gesture for returning to the top. Most mobile operating systems allow you to double tap the top of the screen to return to the page you’re on, but not Windows Phone OS. If the application developer hasn’t added a method for returning to the top in their application you will be doing a lot of scrolling to get back to the top, refreshing the page or closing and re-opening the application you’re in. There are some sections of the operating system that provide you with a quick way to jump down the page to the section you need to get to. Example: From the Start screen you can select a letter and then select the first letter of the application you’re trying to get to. Tapping the letter ‘S’ allows you to get to the applications that start with the letter ‘S’ very quickly. Unfortunately, not all applications provide this feature. 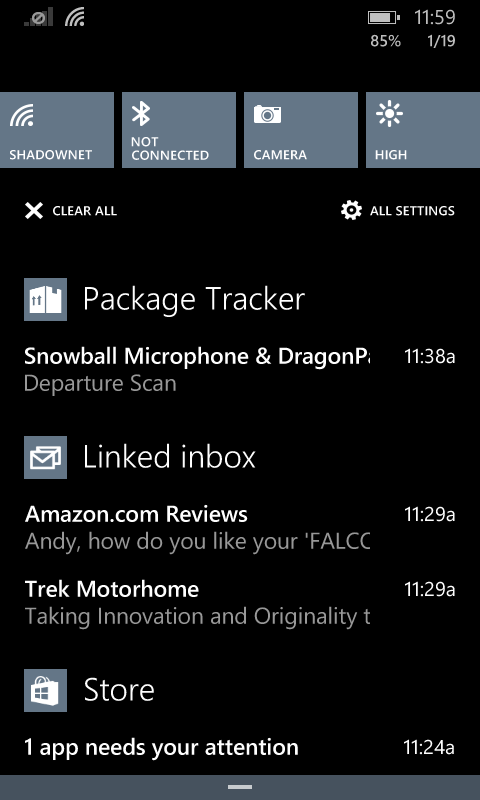 Looking through long lists of folders in the Windows Phone Mail client, this feature would be extremely useful. This must be an easy feature to add, but I don’t know why Microsoft didn’t add it wherever they could in their own applications. I hate that I have to install a third party application to access network shares on a Windows Server from my Windows Phone. I guess their intention is for you to store everything on OneDrive? I would love to have my favorite home network shares automatically mount on my phone when I connect to my home network’s wireless access point. I am sure that is asking for way too much! I won’t hold my breath waiting for that wishlist item! For years, I have been able to watch a plethora of media file types across my home network by simply mapping to the share. Rarely, have I ever had to copy the file down to my device to watch the file. However, many file types that are supported by Windows Phone simply will not play unless you copy them to your device. It seems as though iOS and Android are better at buffering the data stream from server to device than Windows Phone is. WMV files that I attempted to stream to my Windows Phone were the worst. I would get a few seconds of video, playback would begin to buffer, but playback would never resume. This was not a problem from Android or iOS (with the same .wmv file). How the **** Do I Copy and Paste Text? 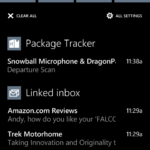 It was the season for shipping and receiving when I first started testing Windows Phone OS. My inbox was full of tracking numbers. I wanted to copy and paste these tracking numbers from the mail client into the tracking application. One would think that you could simply tap, double tap or simply hold your finger on the area you want to select to get a highlighter to appear, but one would be wrong! In the Windows Phone Mail client you have to hit the reply button in order to copy and paste text from an email message. Thankfully, in other applications such as Internet Explorer, copy and paste doesn’t appear to be so frustrating. I am sure by now all of you have seen the image where someone has laid out all of the devices that a modern mobile phone has replaced. Microsoft forgot to include a few items from that image: Compass, level, world clock, voice recorder, stop watch and a note pad. I can deal with the omission of a compass because there is a stock map application. 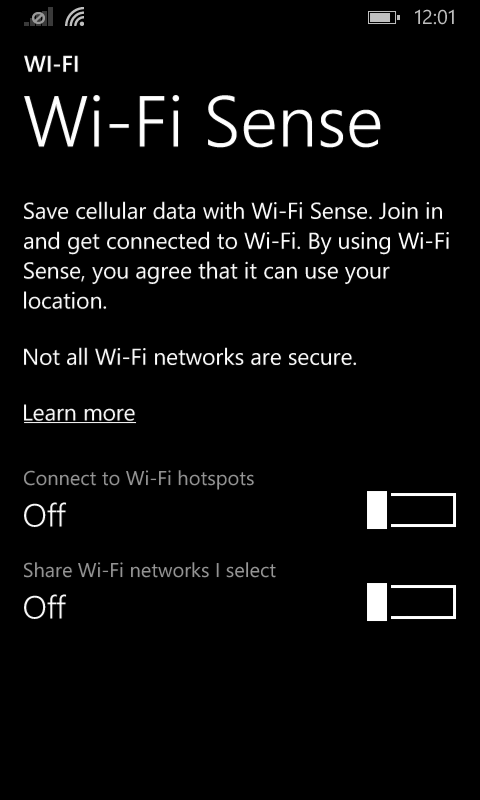 Also, the Lumia 635 does not have a built-in compass. I can deal with the omission of a level, but it is still a nice feature to have. It is great when you don’t have a spirit/bubble level handy when taking pictures. I think a world clock, stop watch and alarm should be combined into one application. Yes, the phone does include Microsoft OneNote for notes, but I hate it. I guess I am simply one of those people that “doesn’t get it.” Perhaps if I took a class and learned how to use it and all of its features I would learn to love it. However, all I really want is an application that allows me to take quick notes and have those notes sync across all of my devices via OneDrive. It took a few days to get all of these features onto my phone. Microsoft does provide applications for some of these features, but you have to hunt for them in the Store. There does not appear to be a built-in mechanism for scanning for viruses. It doesn’t appear as though there are any reputable solutions in the Store either. Being a Windows OS based device, I would think it would be a necessity. This seems like the perfect opportunity for Microsoft to release a version of Windows Defender for Windows Phone. The OS also does not provide any security for your SD card. Anyone can pull the card from your device and access the contents. There are no options for encrypting the data on your card. 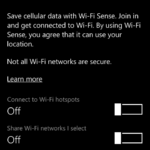 After a few days of having the device I noticed that in the Wi-Fi Sense application the option for “Connect to Wi-Fi hotspots” was on by default. I would love it if we lived in a world where everyone who has an open WiFi access point had good intentions, but we don’t. I highly recommend turning this off. You’re phone will still automatically connect to the networks you intentionally connect to (i.e. your home network. Speaking of security. One of my goals for 2015 is to be more secure. To do that I intend on utilizing a VPN while using public WiFi. 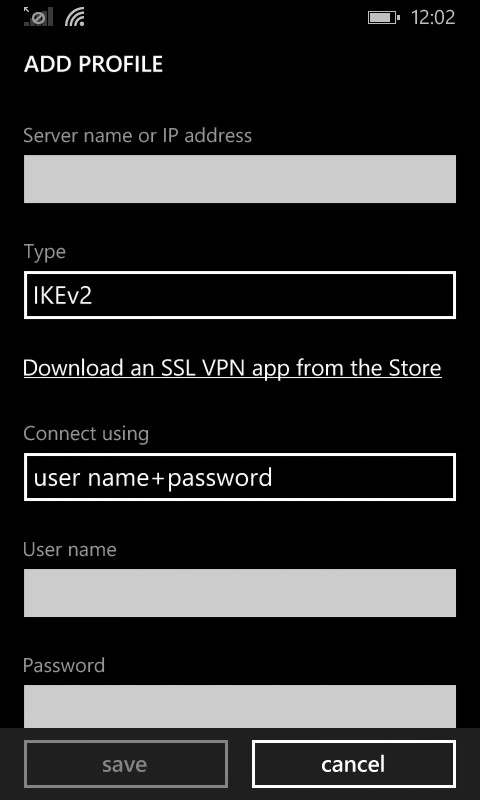 According to Microsoft the Windows Phone VPN client supports IKEv2 or L2TP with IPSec. 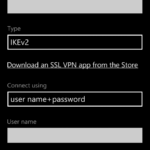 I attempted to create a VPN using Windows Server, which should support IKEv2, but I was never successful in getting the Windows Phone to connect to the VPN server. I won’t blame anyone but myself for this. I’m sure I just need to learn more about it. Unfortunately, despite all of the documentation that states the option for “L2TP with IPSec” should be an option, it is not. You have tasks to complete, but Cortana won’t tell you about them. 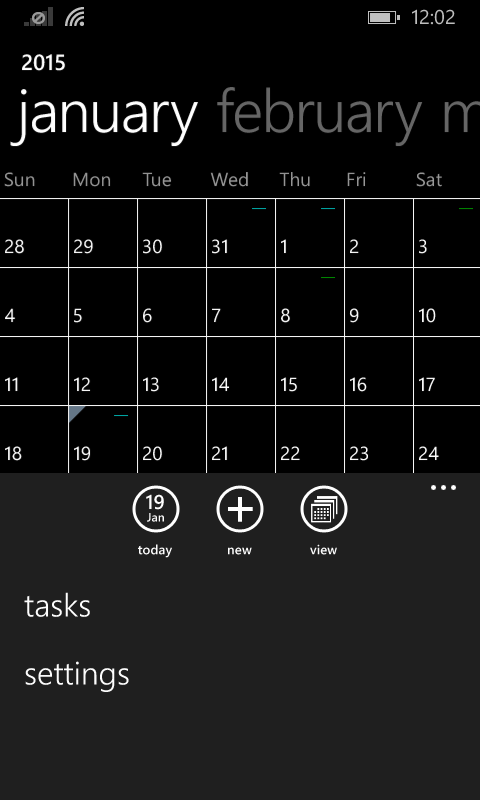 First, I find it completely absurd that tasks are hiding under the calendar. Once you are in the calendar application you click on the “…” menu and then click on tasks to access them. I feel as though tasks should be its own application. 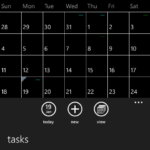 Second, you can add tasks all day long. However, if you ask Cortana what tasks you have, she won’t see any at all. If you ask Cortana to remind you to do something at some point during the day she will gladly create a calendar reminder and you will be reminded. Tasks though, they don’t seem to be relevant in Cortana’s world. If you have a TV, gaming console or some other set-top box equipped with Miracast you can stream content to those devices from Windows Phone. Supposedly. I don’t have any Miracast devices in the house to test this feature with. I did play with the “Project My Screen App” app to mirror my phone’s display to a Windows desktop. Unfortunately, I was only able to get it to work while having the phone tethered to a computer via USB cable. I can see a lot of uses for this feature (especially in the classroom). I am disappointed that DLNA devices are not supported for streaming content to. Since Windows 7 the “Play To” feature has been equipped with the ability to stream content to DLNA certified devices. It is sad to see that this was not included in Windows Phone. One would think that Microsoft could simply allow a Windows PC to act as a projector for a Windows Phone, but no. I would love to be able to connect a USB on the Go cable to my Windows Phone so I can connect a card reader or a USB flash drive. There are many uses for this. Sometimes you simply don’t have access to a computer or a WiFi connection. I have had the occasion where someone has handed me a USB flash drive and I am not able to view the files until I get home. USB on the Go would solve this problem. I could connect the flash drive and provided that it wouldn’t take too long I could upload the files to OneDrive and hand the drive back to its owner. USB on the Go cables are supported on Windows 8.1, so I don’t understand why this feature was stripped from the mobile operating system. I can’t see it taking up that much space. Browsing websites on my iPhone I got spoiled by not having random audio coming from some hidden location in a webpage. Flash simply wasn’t supported in iOS. When clicking a YouTube video link the MP4 version was streamed instead. In a separate application with accessible controls. It was a beautiful thing. Now, like on the desktop, I have to fight the myriad of flash popups and banners. Flash videos play automatically and inside the browser windows. Some of the players built into the webpage are absolutely atrocious. You can barely access their controls because they weren’t built for mobile clients. Speaking of YouTube. The stock YouTube application is terrible. Absolutely awful. It is simply a wrapper application that utilizes Internet Explorer. Look for a third party client for a better YouTube experience. This is just a personal preference, but if you look at the backup settings, by default photos and videos are only set to upload a “Good quality” version. I personally prefer to wait until I am on WiFi to allow pictures and videos to be backed up so that the “Best quality” version will be uploaded. I would rather have the peace of mind of knowing that the full resolution version has been backed up instead of a lower quality version. I also highly recommend enabling the settings and application backup to the cloud. 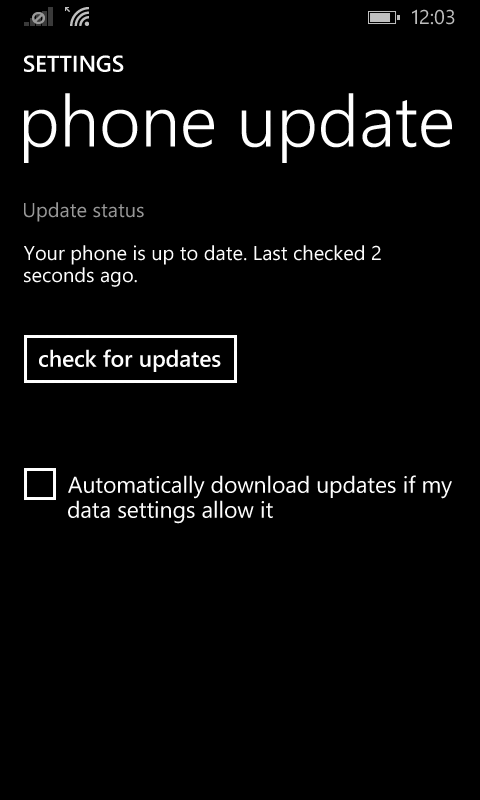 Where the **** is the Lumia Denim Update? 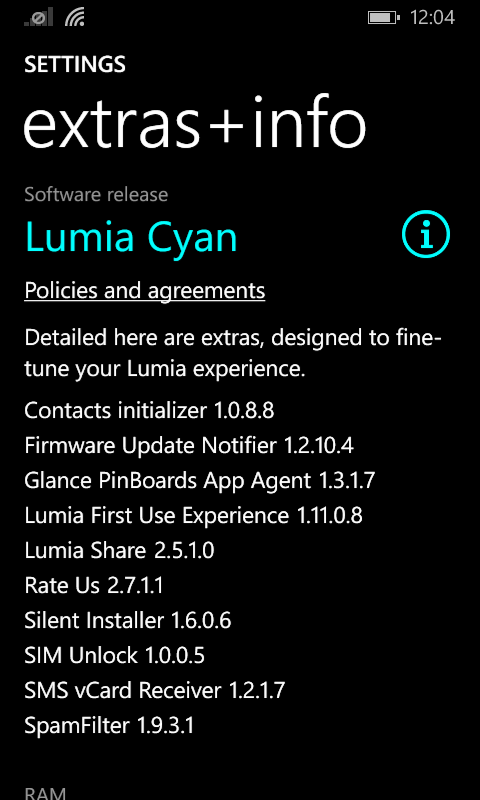 The Lumia Denim update was announced several months ago. 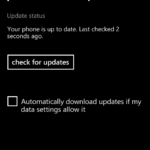 Since that time several Lumia devices have started to receive the update. 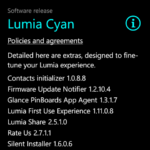 Unlike Apple, Microsoft is not rolling out the update to all of the Lumia handsets at once. Instead, they are rolling it out to a few devices at a time. Unfortunately, when you have a ton of different devices to support, it is much harder to roll out a software update to all of those devices. This is something I will have to get use to on this platform. I could write an entire blog entry about why I think OneDrive.com is terrible, but I don’t want to induce a heart attack. I hate comparing everything in Windows Phone OS to my experience with Apple iOS, but seriously, iCloud.com is phenomenal. Don’t get me wrong! There are a ton of features I would love to see implemented on iCloud.com, but compared to OneDrive.com, Apple got it right! Microsoft has some SERIOUS work to do with OneDrive.com! For a start, why must everything load in a separate window? Having an online component, that works beautifully, allows users to manage their information much more easily and from any location, from any device, without having to install any software. iCloud.com is beautiful and each application available on the site is essentially a replica of the mobile client. Sometimes you don’t want to tap data into your phone or your tablet. Sometimes you want to sit at your computer to update your contacts or calendar items. Not everyone wants to use Microsoft Outlook. You won’t always be on your home computer. While OneDrive.com does provide the same functionality as iCloud.com, I very seriously hope Microsoft invests some money into improving it. When I first started investigating the possibility of switching to Windows Phone, one of the biggest complaints I heard from other users is that there is a major lack of applications. While yes, I have found that there are a lot of companies that I would like to see applications from, I have been able to find applications from third parties to get me by. Sometimes the applications from the third parties are better than the application I had experience with on iOS or Android. The lack of applications is not the fault of Microsoft. As I mentioned earlier in this article, Microsoft is developing a Facebook application on their own. Facebook has released one Windows Phone application for Messenger. They could VERY EASILY release an application for Facebook. 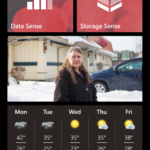 Google has released one application for Windows Phone. It only provides one feature, searching Google. Yes, there is voice support, but nothing more. Why bother when asking Cortana is faster? 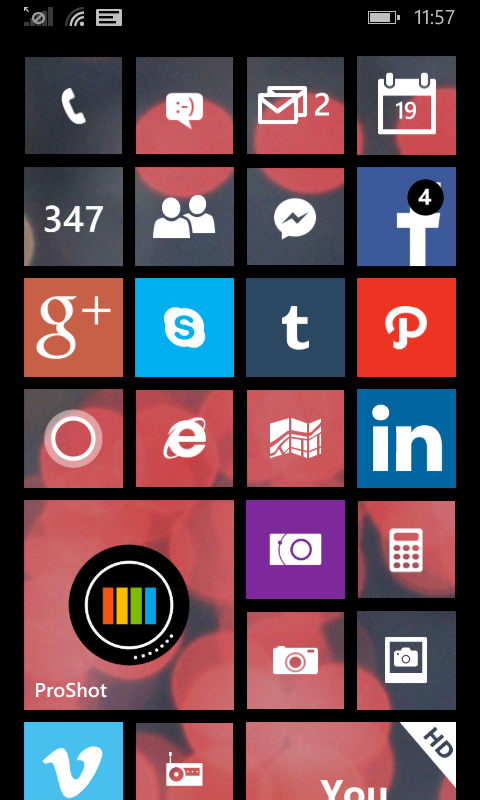 I wish they would develop their own Google+ client for Windows Phone! Windows Phone adoption is on the rise thanks to Microsoft introducing low-cost smartphones. This trend will only continue. 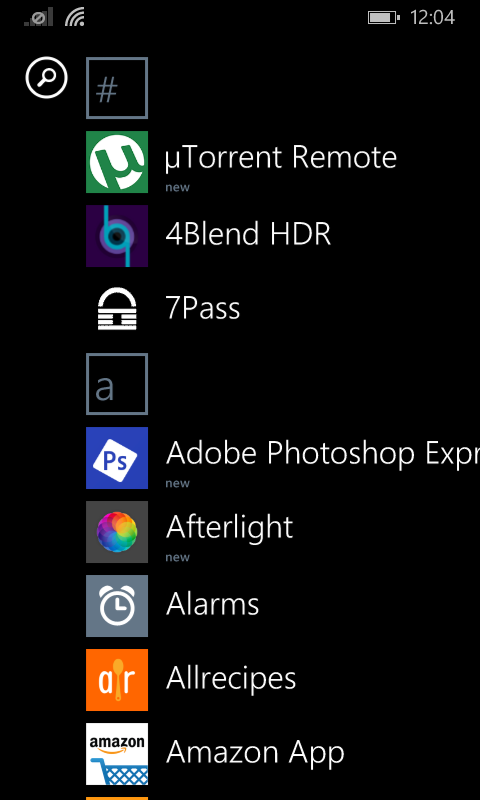 Hopefully, at some point in the near future, these companies will see the benefits of offering their services to Windows Phone users. Microsoft, on the other hand, has been trying to get their applications and services into as many user’s hands as possible. Whether they are using iOS or Android devices. During my conversion to Windows Phone I had to look for suitable replacements for applications that I used on iOS. On iOS I used a lot of remote applications to control playback on my media center PC. Apple has a good one for iTunes. Thankfully, there is a good one available for VLC Media Player on Windows Phone. Unfortunately, I don’t see the same type of application from Microsoft for Windows Media Center, Xbox Music or Xbox Videos. It is amazing how many add-on devices you can get for an iPhone these days. There are add-on camera lenses that allow you to take 360° photos and videos. There are meters, readers and all kinds of measurement add-on devices that you can get. Unfortunately, I fear it will be a very long time before any Windows Phone enjoys these same wonderful accessories. Thankfully, I’m hanging onto our old iPhones.